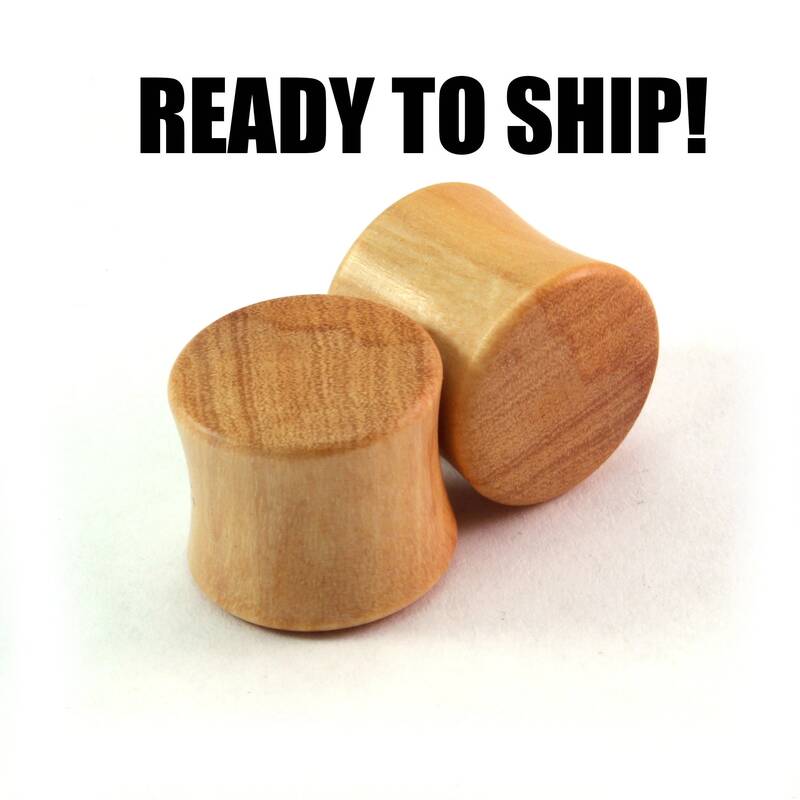 READY TO SHIP 9/16 (14mm) Olivewood Mellow Grain Wooden Plugs - Premade Gauges Ship Within 1 Business Day! READY TO SHIP 9/16" (14mm) Olivewood Mellow Grain Wooden Plugs - Premade Gauges Ship Within 1 Business Day! These simple wooden plugs are made with Olivewood Mellow Grain. They're sized at 9/16" (14mm). They'd go well with your Boho or Minimalist style.